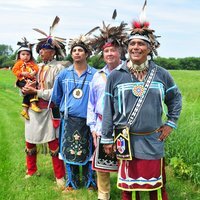 Join West African Choreographer Robin Hibbert and Williams Crouse’s Allegany Indian River Dancers for a celebration that weaves two ancient traditions together in a unique performance. Their connection honors the original peoples of this site who share a reverence for the earth and spirit. Walk with us through a door to a return to that which is in all things. Buffalo has always been a place of convergence. Since time immemorial it was home and the traditional territory of the Haudenosaunee (hoe-dee-no-SHOW-nee) and the land where Six Nations where in allegiance - the Mohawk, Cayuga, Onondaga, Oneida, Seneca, and Tuscarora. As the Great Lakes funnel into their eastern end, Buffalo also provided a port - after the founding of the Erie Canal in 1825 - for the transportation of goods. People followed with African-Americans finding a home here from the beginning, refuse during the underground railroad, increasing population in the 1940s, and most recently drawing African refugees from Somalia, Ethopia, and Sudan. Spirits Dance in Buffalo: A Dialogue with Our Ancestors brings together the traditions and cultures of these two distinct communities: Native American and West African. This rich tapestry will bring forth a harmonious understanding of our historical rhythms, songs, and dance. Our history is older than America. The goal of this project is to honor, share and celebrate two cultures that have had a profound affect on America, but are often hidden from center stage. Both African and Native American culture share a language that reveres the earth and brings forth a highly energetic and mind transforming insperience (a spiritual experience). Through the artistic vehicles of our shared appreciation of the drum, we are able to fulfill the belief that music, poetry, songs, and dance is universal in its ability to convey joy, love, and compassion. The linking together of this unique system of survival in art is executed through the binding of lyrics, words, music and movements. This catalyzes the ultimate expression of creativity and the beauty of these original cultures. Spirits Dance in Buffalo: A Dialogue with our Ancestors dreams of a more socially, culturally connected and accessible Buffalo through active arts community engagement via conversation, relationship building, and arts production. Robin Hibbert is a dancer, choreographer, teacher, mentor, and inspiration to the African-American community for almost 40 years. Born and raised in Brooklyn, New York, Hibbert, describes herself as “keeper of cultural traditions,” receiving extensive knowledge and training from numerous master drummers and dancers from West Africa. Her talent also reaches well beyond Traditional West Africa to Ballet, Modern, Jazz and Tap, having trained at the Dance Theater of Harlem, Alvin Ailey American Dance Center, in the Graham and Limon techniques and toured nationally with the Late Babatunde Olantuji Dance Company, Ballet Bougarabou Du ‘Senegal and Ballet Du ‘Senegal of West African. Most recently, she is developing a new form, a cross between Hip-Hop and African – ASPA (African Steps Part American). NYS DanceForce 2019 Initiative Awardee. Visit here for more info. 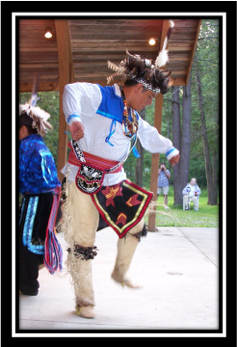 Since the 1980s, the Allegany River Indian Dancers have been thrilling audiences at colleges, museums, powwows, and festivals, having travelled all over the U.S., Canada and Germany with the traditional songs and dances of the Iroquois. Their leader William Crouse Sr. is a member of the Seneca Nation of Indians of the Hawk Clan. He is a faithkeeper, singer, and speaker of the Coldspring Longhouse. As group leader, singer, lecturer, and dancer of the Allegany River Indian Dancers, Bill has travelled all over the U.S. and Canada. 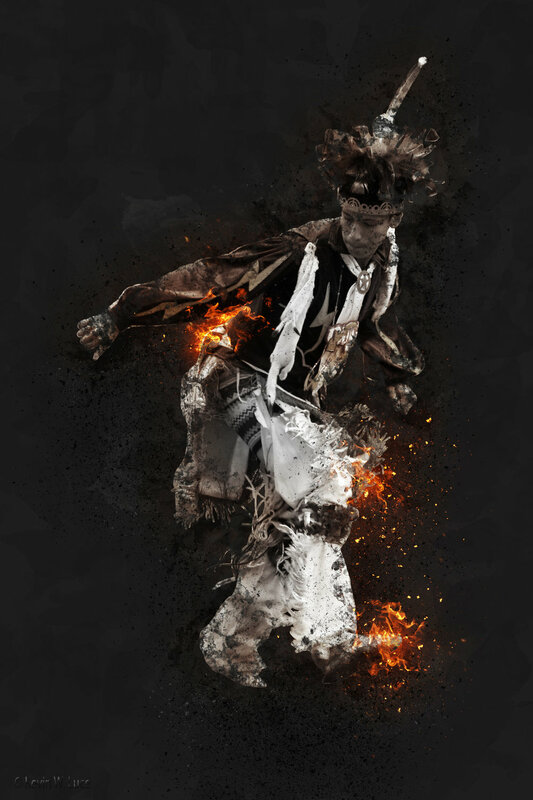 He has worked with the American Indian Dance Theater as a choreographer and consultant. His music recordings of Iroquois Social dance music, Smoke dance music and “re-mix” are a hit with young and old alike. 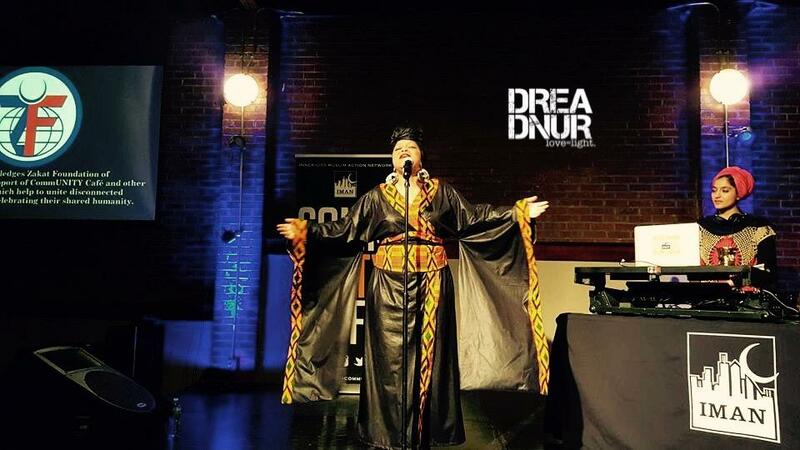 Singer and songwriter Drea d'Nur is currently touring DEAR NINA, a Sonic Love Letter To Nina Simone featuring herself and a strings ensemble. This follows the huge success of SPIRIT of NINA at Kleinhans Music Hall in 2017. A writer of many original songs, she has worked with Grammy winning producer and writer, Greg Curtis, who wrote and produced Love and I Remember for Keyshia Cole. Cry For Change is an ode to those killed due to senseless violence, and Break Me Down is a passionate portrayal of the spirit of resilience of oppressed people highlighted with dance. This 2017 Spark Awards Artist of the Year is a founding member of Panthfrica, Artists Transforming Communities and mother of five gifted children. Burchfield Penney Art Center is a museum dedicated to the art and vision of Charles E. Burchfield and distinguished artists of Buffalo, Niagara and Western New York. Through our affiliation with SUNY Buffalo State, we encourage learning and celebrate our richly creative and diverse community. As keepers of the past and explorers of "the next", the Burchfield Penney Art Center is a catalyst for cultural vitality and creativity in Western New York. The Burchfield Penney commits to inspire, invest in, and celebrate the historical and contemporary accomplishments of artists. We energize the WNY community and SUNY Buffalo State through meaningful, educational, and engaging experiences and will sustain and enhance our culture and environment through our decisions and actions. Dedicated to building community through site-responsive projects, C.S.1 Curatorial Projects commissions and produces new work by collaborating with a wide range of artists, individuals, and institutions. Founded by Claire Schneider in 2013, currently, C.S.1 is leading Nick Cave PLENTY with Hallwalls Contemporary Art Center, Silo City, Buffalo Public Schools, Say Yes Buffalo, and University at Buffalo for 2019-2020. Schneider was previously Curator at the Albright-Knox Art Gallery (1998-2008), Senior Curator at Scottsdale Museum of Contemporary Art (2008-2010), and Curator for the awarding-winning exhibition More Love: Art, Politics, and Sharing since the 1990s at the Ackland Art Museum, UNC Chapel Hill. A native of Nashville, Tennessee, Schneider received a B.A. and M.A. in Art History from Tufts University and Williams College, respectively. A laboratory for art, architecture and culture, Silo City is situated amongst six internationally renowned and historic grain elevators along the Buffalo River. This campus houses a unique set of buildings, open spaces, and waterfront access points. These purely functional edifices became the quintessential forms of modernism, influencing the sensibilities of Water Gropius, Erich Mendelsohn, and Le Corbusier, and their austere modernist architecture. Entering into its eighth year as an active artistic space, Silo City builds on the sense of resurgence that is invigorating downtown Buffalo and the waterfront. Drawing on the city’s long and heralded commitment to artistic experimentation, Silo City is becoming an inspiring destination for world-class, innovative art. Spirits Dance PDF available here.